* I ship from a smoke-free but pet-heavy home in NV, USA. * I accept Paypal, but if you need me to put something on storenvy, just let me know. All prices are in USD, shipping/fees not included. * I reuse shipping materials wherever possible. * I do ship internationally but shipping will be more. * Please pay in a timely fashion. Within 24 hours is preferred, but if you let me know why it is okay. * Once an item is in the mail, I can't claim continued responsibility for it. I'll hang onto receipts/proofs if you need to see them. If you want tracking, be sure to request it. *I'll let you know when your item has been shipped, most of the time I can secure an exact shipping date, but if anything changes I will tell you. * If you've been banned from the pkmncollectors community, you are banned from my sales as well. 25% off when you use the code “thanks”. Thank you guys for being so awesome! I hope you all have awesome Decembers. 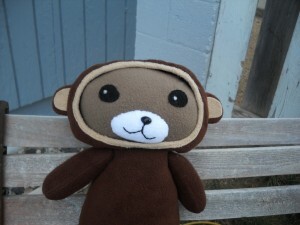 A cute bear dressed up as a monkey, this cutie is about 18 in (46cm) tall, its 7 in (18cm) at the hips, and its head is 7.8 in (20cm) wide. 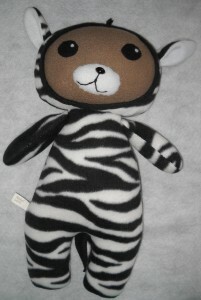 A cute little bear dressed up like a zebra. Here is the next bear in the dress up series, she is dressed up as a robot and wants to go trick or treating with you. A bear dressed up as a cat, ready and rearing for Halloween. 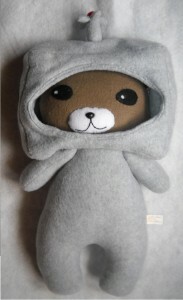 Like the other one the hood is removable though the costume is not. This little guy is about 47 cm (18 in) tall, the head is about 20 cm (8 in) wide, its hips are about 23 cm (9 in) wide, and the chest is around 15 cm (6 in) wide. 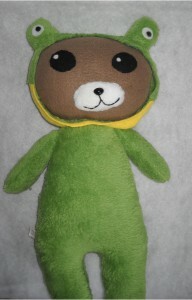 A cute little bear who is dressed up in a frog costume, the hood can be pulled down but the rest of the costume is not removable. Made with green minky and fleece. 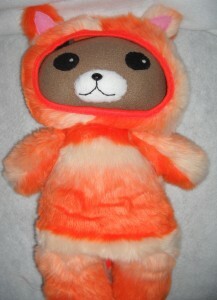 Its about 47 cm (18 in) tall, the head is about 21 cm (8 in) wide, and the belly/chest is about 19 cm (7 in) wide. 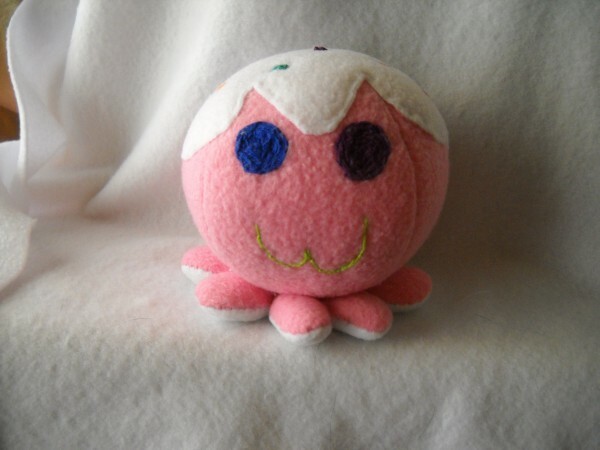 After the first one my dad wanted me to make one for a family friend’s baby-shower coming up, so I hand embroidered the eyes instead of buttons and put extra stitches for the tentacles. Okay, I've decided that I should try another sale, sorry for the random date but I like to keep it random... Its 30% store-wide and a couple of buyers will get a free super extra secret gift! The newest line in the catopus family, bear-puss. 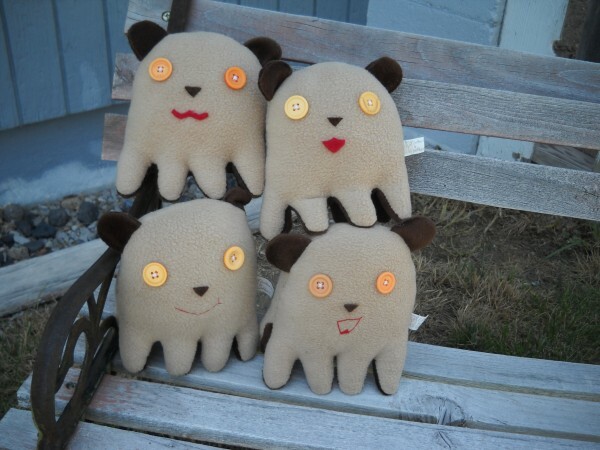 I made these four for an up and coming local craft fair.